Web of Science: What is the annual total of books published in Iceland? What is the annual total of books published in Iceland? Literature has held pride of place in the Icelandic national culture for a long time, both in the minds of scholars and laymen. The runic inscriptions of Nordic men at the time when Iceland was first settled, show the work of literate men who were creating something that was meant to last, a memorial, something to inform others. Icelanders have had this need to a high degree, as evidenced by sagas and by the publication of books in our times. Despite the advent of new media, the book has held its ground. There are nearly 300,000 inhabitants in Iceland and we can be proud of the fact that there are more books published per capita than in any other country. The total fluctuates from year to year but in 1999, according to the Icelandic Book Register there were 2100 titles published; 1866 books/booklets and 207 in some other form (CD-Disks, tapes, records, multimedia disks). Not all that is published will be recorded in the Book Register, this includes annual reports of institutions and associations, companies' annual reports and special publications for specific purposes. Some other types of small publication are not found in the Book Register, such as promotional brochures, almanacs, diaries and telephone directories. As can be seen from the figures above, the total is well in access of 2,000 titles per annum. 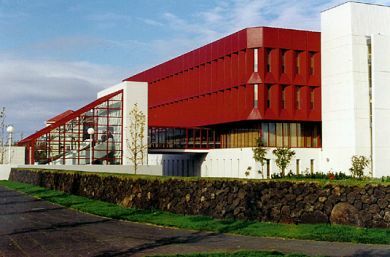 Landsbóksafn Íslands - National and University Archives. The titles registered in the Icelandic Book Register are mostly to be found in the library system Landsbókasafns Íslands - Háskólabókasafns (National and University Archives). The system is called Gegnir. By accessing Gegnir through the Archives' home page one can see how the entries are categorised by type and form. Gegnir stores information about books, journals and magazines and another system, Gelmir keeps information about manuscripts. As data entry into Gelmir is still in its early stages, it is not yet open for public access. Guðrún Karlsdóttir. „What is the annual total of books published in Iceland?“. The Icelandic Web of Science 6.3.2005. http://why.is/svar.php?id=4811. (Skoðað 21.4.2019).